Almost every Temperzone air conditioning unit contains a unit controller board that lets you get an amazing amount of information via your BMS, if you connect it the right way! You get a huge array of information that is useful in commissioning and you can also monitor performance and easily identify faults. Importantly it’s also the most cost efficient way to connect Temperzone units to a BMS. No need for expensive relay boards and even more expensive wiring. How would you like your own local Temperzone tech support person, who can handle a range of functions from commissioning assistance to warranty repairs and hands on “in service training” for your staff. Sounds almost too good to be true? It’s called Temperzone Customer Care and it’s coming to you in 2017. Large warehousing retail outlets have become increasingly popular over the last 20 years across Australia. Typically, air conditioning comprises a large proportion of the total running costs for these buildings. 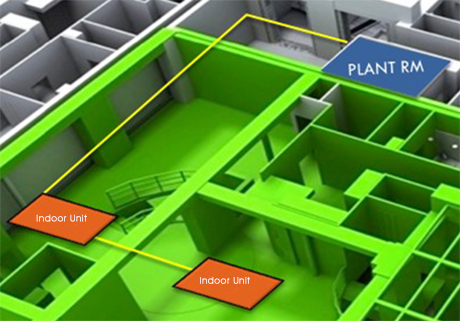 Recent modelling shows Temperzone OPA ECO units produce exceptional savings in large retail applications. As you may have already heard, Temperzone achieved a very impressive milestone this year, 60 years of continuous manufacturing in New Zealand and Australia. And we would like to say thank you, we couldn’t have done it without the loyalty, input and support of all our customers. Temperzone recently held a hugely successful Training and Sales Conference Day in Townsville and is planning more for all the major capital cities in Australia in 2017. Temperzone understands that not everyone can take the time off to come to Sydney - so we are coming to you.